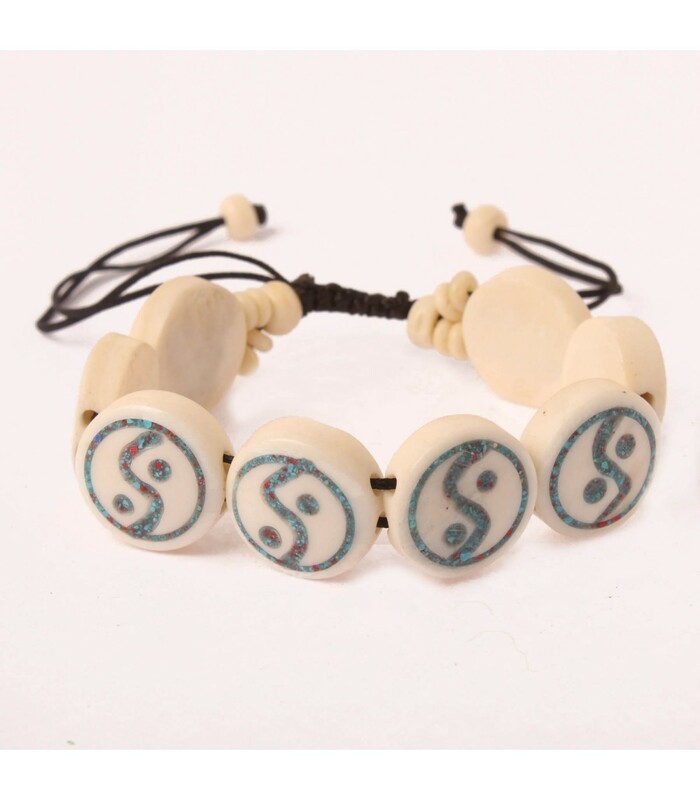 Yin yang wristlet hand made from buffalo bone. Yin yang logo is crafted in resin stone. Twisted wax cord holds the yin yang on place. Yin yang represents the harmonization of dark and bright sides of life.